The cost of the Israeli military presence in Palestine is high – living with a constant threat of a general violent uprising, relentless international pressure, and growing domestic weariness of the situation. But with Jewish settlements all over the West Bank, can the Israeli troops ever just leave the settlers to their fate? Will Israel ever let Palestine achieve complete independence? Amos Yadlin, former director of Israel’s military intelligence shared his view. Sophie Shevardnadze: General Yadlin, it’s really great to have you on our show. Welcome. 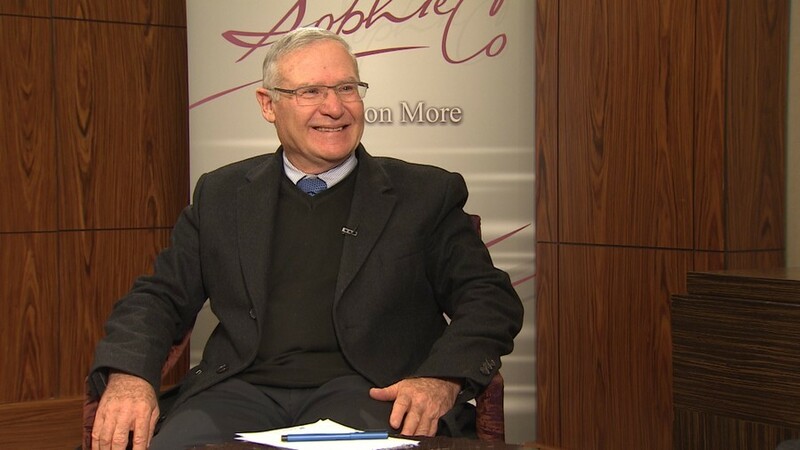 Amos Yadlin: I’m happy to be in Moscow. SS: We’re happy you’re here. Palestinians have dismissed America’s leading role in the Middle East peace process and want Moscow, Russia to provide a platform for multilateral negotiations. Would Israel take part in this proposed new format? Is Moscow viewed as a trustworthy mediator by Israeli? AY: I think you should go basically to a much more important issue. That’s why Palestinians are avoiding every opportunity to reach an agreement. If you go back to 2000 with Barak and Arafat in Camp David, they didn’t agree to a very good proposal. Later on they didn’t agree to the Clinton Parameters. Then in 2008 they got a wonderful deal from Prime Minister Olmert - they haven’t answered to this day. Even Kerry who offered them in 2014 a very good deal - they ran away. This is the problem: it doesn’t matter whether the Russians will put the offer on the table or the Americans will do it. Back to your question which I’m not avoiding, Prime Minister Netanyahu said that Israel will not leave the American mediation. I’ll tell you that the only country that can get real concessions for Israel is the US, they have the leverage. The Russians don’t have the leverage even though Russia is respected in Israel, we see it as a friendly country. SS: Like you’re saying, Israel has traditionally enjoyed Washington’s support, but just recently President Trump said that he doubts that Israel is interested in making peace with Palestine. Do you think it’s a valid concern? AY: I think he said a lot of things and you take only one of them. No doubt that both Prime Minister Netanyahu and President Abu Mazen took position in the last couple of years that take peace farther rather than closer to us. Both of them have now positions which cannot enable us to close the gap. The gap between the Palestinians and the Israelis is huge. The maximum that each side is willing to give to the other side is not up to the minimum of the other side. And what is the tragedy, Sophie? We all know what are the parameters for a permanent deal between the Israelis and the Palestinians. It is basically the Clinton Parameters. And everybody knows that each side should do very painful concessions that go against their national narratives, their values, their beliefs, their religions. The Palestinians have to agree to recognise that Israel is a Jewish state and this is the end of conflict and finality of claim. They have to agree that there is no right of return to Israel, only to the Palestinian state, and that Israel has legitimate demands on its security. The Israelis have to agree to a Palestinian state, to go back to basically 1967 borders to partition of Jerusalem. Rabin wasn’t here. Abu Mazen isn’t willing to make concessions. Bibi for sure isn’t here. SS: Let’s go point by point to what you’ve just say. From what it looks from the outside to someone who’s not Palestinian or Israeli, it does look like there’s endless negotiation of peace while protecting your own goals. Reaching your own goals is convenient for everyone. If you strike a deal, if there’s a compromise, you have to abide by them, make concessions. Do you feel that maybe the current status-quo is actually better than a fixed settlement? AY: If depends on the settlement. You see, the status-quo is more sustainable than many are thinking. However, as an Israeli I don’t see the status-quo deserves, I want to have a resolution to the conflict. I want to have Israel shaped as Jewish, democratic, secure, with a moral upper hand again. This is very important to me. Somebody has to convince me, that by moving from a status-quo I’m not going to a more problematic situation. And I have to remind you that Israelis have done two big moves towards resolution of the conflict: the Oslo Accord which ended up with Arafat launching a terror campaign against us with 1500 Israelis killed, and then the withdrawal from Gaza. We withdrew from Gaza to the last inch, we dismantled the settlements there - what we got? Good neighbors? We got a terror organisation, which is launching rockets to our villages, to our kibbutzim, digging tunnels. So instead of having good neighbors we have ‘Hamastan’ which is a terror state. SS: We have what we have right now - the situation is quite different. I’ve spoken to the Palestinian side recently. You’ve said what compromises they have to make to reach a peace deal. You tell me in your own words one more time what can Israel make to reach a peace deal with the Palestinians? AY: That’s a good point because the Palestinians are not united. Even if the Israeli left will be in power they will go to Ramallah to negotiate with Abu Mazen. Abu Mazen cannot deliver… He’s hardly controlling the West Bank, the terrorists of Hamas are controlling the Gaza Strip, they do not recognise the Oslo Agreement, they do not recognise Israel, they are not willing to denounce terror, they do not recognise the agreement between the PLO and Israel. SS: So you cannot strike a deal with the West Bank overlooking Gaza? AY: I’m saying that at the present moment, unfortunately, you cannot reach a permanent peace. However what we should do today is to keep the two-state solution alive, keep it a potential future resolution. And there’s a lot that can be done on both sides on interim steps. If I were in a position of a mediator, US or Russian, I wouldn’t try another secured failure. I would try interim resolution, interim agreement that would keep the two-state solution alive. And I’ll give you some parameters: freeze the Israeli settlements beyond the security line. On the other side, let the Israelis continue building in the blocks. Everybody understands that in the future they will be in the borders of Israel. Develop the Palestinian economy, the Palestinian civil society bottom-up. Help them create a state that will not be another failed Arab state. If you give the West Bank independence tomorrow they will be taken over by Hamas or ISIS in a second. And we’ll have another hostile failed Arab state. This isn’t something that anybody wants, even in Moscow and DC. SS: General, I want to talk to you about the statement that you have made. You said that Israel should move forward with the peace initiatives now, because it is in a strong position, while the international situation is in its favour. What kind of terms do you see Israel dictating to the Palestinians if you’re negotiating from a position of strength? Can that be a good thing for a lasting peace? Shouldn’t both sides be balanced in a sort of strength position? Or will it be always Israel the strong one and Palestine the weak one? How is that good for a long-lasting peace? AY: Sophie, Israel is a small country, surrounded by 350 million Arabs. So the way you put it is the wrong way. There are 1.7 billion Muslims. So Israel has to be strong. Otherwise we wouldn’t live here. It’s a very tough neighborhood. We have to keep our security as number one issue. However, the Palestinians are backed by all these Arabs and Muslims. This is making the symmetry much more normal philosophically to you question. SS: Ok, talking about defense, you’ve said that the 1967 borders should be the deal. And that’s what Palestinians want. But Israel won’t accept that because they think that those borders are completely indefensible from a military point of view. So that leaves Israeli presence permanent in the West Bank and the Jordan valley, this is a never ending thing, right? SS: But now the specifics - the Israeli military will never leave those border lines? AY: Israel says that you have to differentiate between the people of Palestine who will have their own country with the will and capability to run their own business from security point of view (and this is one of the points which, I said, the Palestinians have to compromise on, that Israel security will not be compromised). I didn’t said that Israel will control the West Bank, but on the Jordan valley will have a special arrangement. And we’re not going to repeat the mistakes that we have done in the withdrawal from Gaza. After withdrawal from Gaza we left everything with no IDF present anywhere and the border between Gaza and Sinai was left open for all the weapons coming from Iran, Sudan, Libya, that violated one of the main principles that the Palestinian state should be demilitarised. SS: Donald Trump has said that the Israeli settlements in the West Bank are bad for peace. Is this a signal that Israel shouldn’t be counting on US indiscriminate support of its policies anymore? SS: But the sentence is the important sentence. AY: The important sentence that Trump have said was that unlike the Obama administration he doesn’t think the settlements are obstacle for peace. They are not a good phenomenon, you’re right, he said that too. But, first of all, the conventional wisdom and the main allegation against Israel in the eight years of Obama administration and the Palestinians still sing that song, that the settlements are an obstacle for peace. As an Israeli from the centre, not from the extreme right, not from the extreme left, I do agree that some of the settlements - those which are east of the security fence - are not helping peace at this moment. But if peace is reached this obstacle will be removed. You have to look at it the other way round. SS: But isn’t it also a big part of reaching a peace deal. It does seem that a growing number of settlements are dissecting the Palestinian territory everywhere, creating enclaves and exclaves, patches. For some it may look like a plan that Israel may be never wanting a de-facto independent Palestine… You know what I mean? AY: I know exactly what you mean, and this is another myth. If you look where are the main places where Israel is building, it’s not the settlements east of the security fence. It’s in the Jewish neighborhood of Jerusalem, it’s in the blocks. This is basically the Palestinian propaganda that, unfortunately, is bought by a lot of people in Europe. AY: Israel is a democracy, we have the right, we have the left. The right are for settlements, the left are against them. The centre basically distinguishes the blocks east of the security line. So there’s an argument in Israel. And I can promise you, most of the Israelis are still for the two-state solution. I’m a head of the think-tank that does a poll every year, and there is still 60% (it used to be 67%) in support of the two-state solution. If a reasonable agreement is put forward by US, Russia or the Quartet, and the Palestinians agree to that, settlements will not be an obstacle for peace, as it was not in Gaza in 2005. SS: Do you think annexing the settlements is a possibility? I’m asking that because I know that Netanyahu is always emphasizing the fact that any peace deal would include settlements closer to Israel proper, perhaps leading to their annexation. AY: Once again, 5-6% of the territory which the blocks are build upon will be part of Israel. We agreed to the that not only in the right, but in the Israeli centre. What Olmert gave Abu Mazen, and what he, unfortunately, didn’t take, is a swap. Ok, we will take 5-6%, you will get part of Israel to be part of Palestine. To keep 100% percent of the 1967 partition is the right balance. But the Palestinians refused. So the Israelis are not going to evacuate half a million people from the settlements. The numbers we’re talking about are 60, 70, 80 thousand, and it’s not going to be easy. SS: I want to ask you about the other thing that Netanyahu is emphasizing: he says that any peace deal with Palestine will include the Israeli security control over the West Bank. You know, the Palestinians are calling the IDF presence in the West Bank an occupation, how would that work out? AY: I told you that security will not be compromised. And there are many methods to make security with, let’s call it, a stealthy profile. The configuration should be as low as possible. The head of Brookings Institute General John Allen had a team that worked on that in 2014 to make the Israelis feel secure on one hand and not to humiliate or make Palestinians feel that they aren’t controlling their own territory. Once again let me remind you that the Palestinians never answered to Secretary Kerry and President Obama’s proposals in 2014. Prime Minister Netanyahu basically accepts the framework, although with some reservation. SS: I want to talk about the international law point of view. I know you have a friendly president in America, but when it comes to things like building the barrier along the Green Line, building settlements, even claiming the whole of Jerusalem - that goes against international law, that’s the general acknowledgement of things. Right now this isn’t relevant for Israel, Israel doesn’t even care, it does what it sees fit. But do you think eventually the whole legal pressure from the international community could catch up with Israel? AY: There are different interpretations to the international law. You’re taking one interpretation, we have another interpretation. You know, nobody ever recognised a Palestinian state, there was no Palestinian state until 1967. No one recognised the occupation of Jerusalem by Jordan except for two countries - Pakistan and UK. So, what used to be the British mandate of Palestine there are different interpretations of what the international law is saying. And I think, the principles that everybody accepts, I heard even Foreign Minister Lavrov say that the future of all the parameters for peace will be decided in negotiations. Unfortunately, the Palestinians are unwilling to come to negotiations because they know that they have to do some concessions. SS: You’re talking about the recognition of the Palestinian state - Slovenia is nursing the idea of recognising the state of Palestine. Sweden did this, Ireland, Belgium and some other EU members are thinking of following this lead. Israel is strongly opposed to that. I don’t really understand why. But what’s wrong with it? Israel says it supports a two-state solution. Palestinians were promised their own state. What’s wrong with recognising the state of Palestine? AY: The devil is in details. When you say you recognise the Palestinian state, in what borders do you recognise it? Are you recognising the right of the Palestinian refugees to come back to Israel? Are you recognising other demands of the Palestinians which are unacceptable? A Palestinian state should be a result of a negotiated resolution. SS: A two-state solution is not happening so far. Let’s face it. A one-state solution isn’t what Israel wants because you don’t want to absorb 2,5 million Palestinians into 7 million Israelis. So what kind of options are left for Israel? AY: I’ve already shown you the option. The option is to try again to reach an agreement. If that is impossible try reach a regional agreement that the Arabs would join, where they can put some ideological, financial, even security value on the table by offering the Israelis something, offering the Palestinians something and pushing two sides to make concessions. If this is not working I’m recommending the Israelis an independent move supported by the US and Arabs. Let’s say the Palestinians are so extreme, they so don’t want to make a compromise. Let’s do a halfway interim agreement to keep the two-state solution alive even if we cannot reach it today. SS: Trump’s recognition of Jerusalem as Israel’s capital - do you feel it’s helping the Israeli-Palestinian peace process? Or on the contrary? AY: I don’t think, it’s disturbing as the Palestinians are claiming. If you listen very carefully to Trump’s speech, he basically said: “I recognise the reality. I recognise the fact that Jerusalem is the capital of Israel”. The coordinates of places in Jerusalem that he mentioned, the Knesset, the Parliament, is in Jerusalem, the PM’s office is in Jerusalem, the Supreme Court is in Jerusalem - all of them are in West Jerusalem. If I were Palestinian, I would embrace his speech, say, you know, all these places are in West Jerusalem. Trump said in the same speech that the future borders will be decided in negotiations between Israel and Palestine. He said that the status-quo of Haram al-Sharif is not going to change. This basically can play to the Palestinian demands. Why have they made such a big deal out of it? Let me tell you a secret. They knew that the Trump plan was coming and they would again be losing the blame game, they again would be refusing to another plan after Kerry, Clinton etc. So they preempted. They preempted on Jerusalem thinking that Jerusalem is the case that would get a lot of support in the Arab world, in the Muslim world. And here’s another surprise. Most of the Arab world is now worried about Syria, Libya, Yemen and the Iranian hegemony in the Middle East, they aren’t that much interested in the Palestinians anymore. AY: False! We’re two, three months since the declaration. You remember the predictions? There were predictions of World War III, that the Middle East would be in fire, terror all over, that the American embassies would be bombed… Nonsense! I wrote two weeks before the declaration that this is an empty gun and they cannot threaten us with it. Either way the Palestinians should look at themselves. Who started the argument on Jerusalem? They went to UNESCO with an unbelievable, out-of-context to history argument that Jews have no connection to Jerusalem. 3000 years we are there, we built the city and the Palestinian suddenly say that we have no connection to Jerusalem. If they come with this argument I don’t blame Trump for telling them the truth. SS: General Yadlin, thank you very much for this interview. All the best of luck!